Earn $59.99 in VIP credit. Click to Learn More. 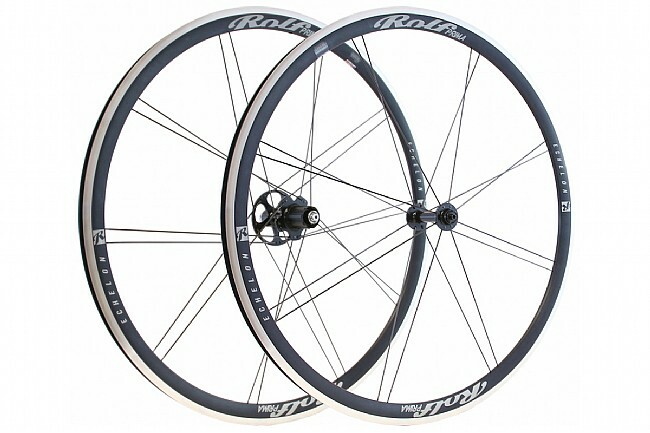 Rolf Prima applies their proven paired-spoke and oversize hub-flange technology to their Echelon Alloy Clincher wheelset for everyday performance. The USA-made aluminum rims are 31 mm deep for an aero advantage on the flats without compromising cornering or crosswind stability. Hand-built using the same painstaking process as their higher end wheelsets, the Echelon wheelset provides reliable speed and strength mile after mile.